Assassin’s Creed: Odyssey may act as a sequel in just about every sense of the word, but it will thematically take place aeons before even Origins. This is a strange premise, but in the world of Assassin’s Creed, it makes total sense. Now, Ubisoft has detailed the Assassin’s Creed: Odyssey post-launch content, and it is truly shaping up to be one of the largest titles Ubisoft has ever shipped. Ubisoft released a trailer marking both the impending launch of their latest game and the start of what is to come after. The trailer offers a glimpse at a new story quest called The Lost Tales of Greece and in-game events for all players. Season Pass owners, however, will receive two full story arcs after the launch and an added bonus: Assassin’s Creed III: Remastered; and Assassin’s Creed III: Liberation – Remastered for PlayStation Vita owners. There is no word on what PC and Xbox One owners will get, but I have a feeling that Liberation will not be locked to Sony’s console for long (much like how it released on Xbox and PC after it released on PlayStation originally). 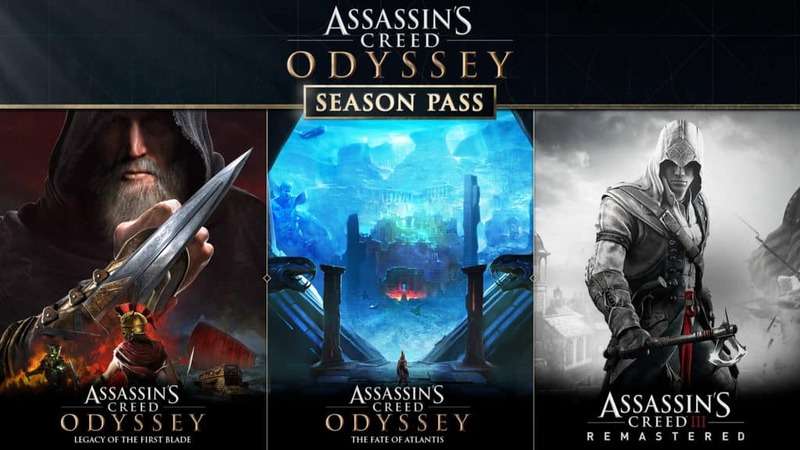 While Assassin’s Creed: Odyssey will only release on 5 October 2018, the trailer confirms that the first Season Pass story arc will release in December 2018. It is called Legacy of the First Blade and explores the origins of the hidden blade weapon – an item said not to be in Odyssey since “the Spearhead of Leonidas replaces it”. The second story arch will release in the “Spring of 2019” and will be based around the Lost City of Atlantis and its fate. Both story arcs will consist out of three episodes each. Fate of Atlantis will also delve deeper into the story surrounding the First Civilisation (Those Who Came Before, Isu). In short, Assassin’s Creed: Odyssey is set to be a platform of sorts for “episodic content”. 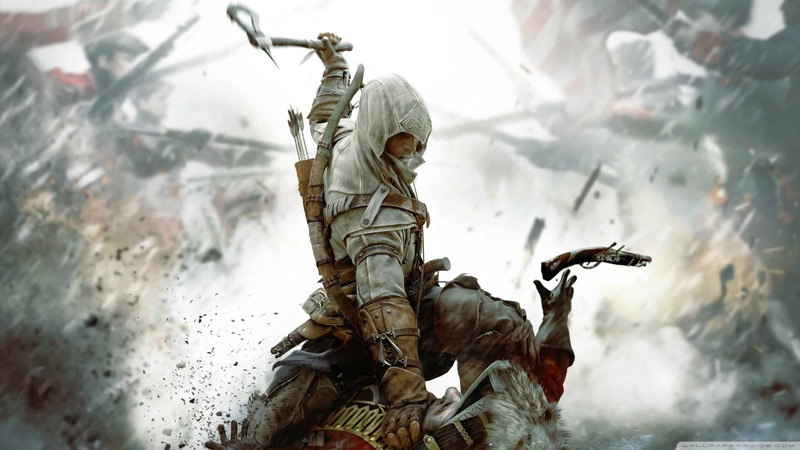 Ubisoft states that this is the “most ambitious post-launch support ever” as they strive to continuously update the game with both free, and paid content. Perhaps the biggest part of the Assassin’s Creed: Odyssey post-launch content announcement is the fact that Ubisoft has remastered and will release, Assassin’s Creed III to all Season Pass owners. Personally, this is a huge win in my book, as I am one of only three people I know who actually adored the third numbered instalment in the franchise. 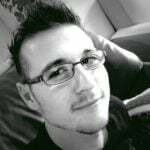 In it, you take on the role of Connor, a Mohawk warrior and Master Assassin during the Colonial War. Connor is the son of Haytham Kenway and the grandson of Assassin’s Creed IV: Black Flag protagonist, the legendary pirate captain, Edward Kenway.